🌅 What is Solar Energy? 🕵️‍♀️ How Does Solar Energy Work? 💥 What are the benefits of Solar Homes? 🤑 How can I afford Solar Panels for my home? 🤹‍♀️ How do I select a Solar Energy Panel? 🤗How do I get started with Solar Homes? 💲 How do I get the best price for my Solar Home Panels? 🤷 Where is the best place to install my solar panels? There’s going to come a time when you are in the market for a new home or simply want an upgrade. The goal is to make sure you have all costs under control and have those expenses fit into your budget. One of those concerns may be your electricity bill. This is an expense most homeowners struggle with when affording and maintaining their household. New home buyers continue to look for new inexpensive ways to bring down high electricity bills. The result many have found is to use solar panels and create solar homes. The up-front cost of installing solar homes can be a big mountain to climb until you are able to see how quickly your own personal power-plant can pay for itself. Before we dive deep into the costs of solar homes let’s take a peek into some of the particulars that make up the rest of the decision to make your house solar. To start, they are actually called solar photovoltaic systems. However, most know them by the name of solar panels or solar energy systems. Basically, these panels take sunlight and change it into electricity. Therefore, giving you the opportunity to use that generated electricity to power your car, an office or even your entire home. Giving us the word “solar homes”. Having access to the sun, for example, California homeowners are protected by law to use the sun for solar powering. This has been going on nearly 30 years. These protections fall under the California Solar Rights Act and the Solar Shade Act. Arizona is a super sunny state where solar panels can drink in the sun over 300 days per year. For many of us desert dwellers, the sun is what attracted us to the valley to begin with. Today, we will learn about how solar homes are making life in the Phoenix metro even more attractive than when we first made the decision to move to Arizona. Solar homes typically have a rooftop system installed to capture the heat from the sun and turn it into electricity. It is possible that solar homes can produce so much energy, it can power solely on the sun alone. So you may be wondering, how do solar powered homes work? While sunlight shines on your roof it hits the solar panels with what is called photons. These solar homes panels change those photons into what is called electrons giving off a direct current of electricity. The electrons that come out of the panel changes into “DC” power that transforms into “AC” power. This is the electricity that powers your computer, wall outlets, microwave and television. Solar homes panels are made up of small solar cells that are square-shaped. These small panels can be found either on your microwave or a small calculator. Are there any cons when it comes to solar powered homes? Click To TweetWhen deciding to use solar homes, you must consider the pros and cons. It’s a renewable energy that does not diminish. In other words, it’s unlimited. It’s noted that the earth’s energy source has more than 20,000 times of power than we will ever use. The best thing is that the amount of sun we use will also be there for several generations to come. Those who own solar homes are first in line to reap the benefits of this resource. The expense of using solar energy has changed considerably over time. Years ago it was very expensive, but now it has become the number one source to power your home and cuts costs. Even though it’s not available all the time, we do understand there is an unlimited supply. Most homeowners don’t realize that by adding a solar panel system to your home, you actually increase the value of your house. By going to solar homes you are creating an investment in your personal property. However, it does matter whether or not you purchase versus lease your home. You may live in a state that allows what is called Solar Renewable Energy Certificates (SRECs). Many people who own solar homes have used these certificates to make money on the side by selling their SRECs. Reducing a high electricity bill is probably one of the most important reasons homeowners consider getting solar energy panels. It’s been noted that homeowners have paid off their system within eight years of purchase. With solar panels being an investment, the returns on investment can possibly be 20% or higher. In some incidents, homeowners have experienced a significant decline in electricity costs altogether. solar tax benefits. How they impact our solar panel costs Click To TweetIf you are trying to stay within a budget, it’s good to know how much solar energy will cost you. First, you must understand when setting up a solar panel system, there are various tax credits, rebates and great incentives that help you lower your costs. It’s best to use a Solar Calculator when determining your bottom line costs. Depending on what state you live in, you may also be able to deduct a portion of your solar energy bill costs on your taxes. Do keep in mind, incentives or tax credits can change state-to-state. How to afford solar panels when you are not in a position to buy them Click To Tweet If you are unable to buy your solar panels outright, there are financing options available. It doesn’t matter if you are trying to increase your monetary returns, looking to reduce costs or simply willing to make the world a better place, you can find a financing plan that works for you and your family. Whatever your goal is, leasing or buying your solar panel system, it comes down to what works with your family’s budget. If you decide to purchase your system, then you have no worries of making payments to a third party company. If you decide to go the leasing route, you need to sign what is called a Power Purchase Agreement. There is the option of giving up your power bill to get a Solar Loan. If costs are too much for you to handle up front, there are businesses what you can develop a partnership with to ease your expenses. Most solar loans do not require you to put any money down and make payments on a monthly basis just as you would if you were paying your regular electricity bill. Research has shown that this type of method has grown tremendously in areas such as New York, California, New Jersey and in Colorado, to mention a few. When you work with a third-party on a Solar Loan they help you design a system for your current home or your new planned construction. What will vendors include when you buy a solar system from them? Click To TweetOften times third-party businesses will throw in water heaters or a heat pump, which can significantly increase your investment overall when getting a solar panel system. Solar homes are generating public interest that is on par with the power that can be saved by living in a home with solar panels. The selection of your solar panel comes down to a making a detailed list. Two things in particular to consider is the panel’s rating and performance. This list will help you answer those pertinent questions when shopping for the right solar panel system for your home. It might be wise to write your findings in a journal as you compare companies. One popular concept of a solar energy home is called Passive Solar Homes. For example, when the heat from the sun comes through the windows facing south it is stored in thermal mass. This means the heat is built up in either stone, brick, tile or concrete just to name a few. With a passive solar home, you are not getting electrical power. In this instance, you depend on your system for heating and cooling to control your home’s climate, which ultimately gives you the ability to use and reduce energy. 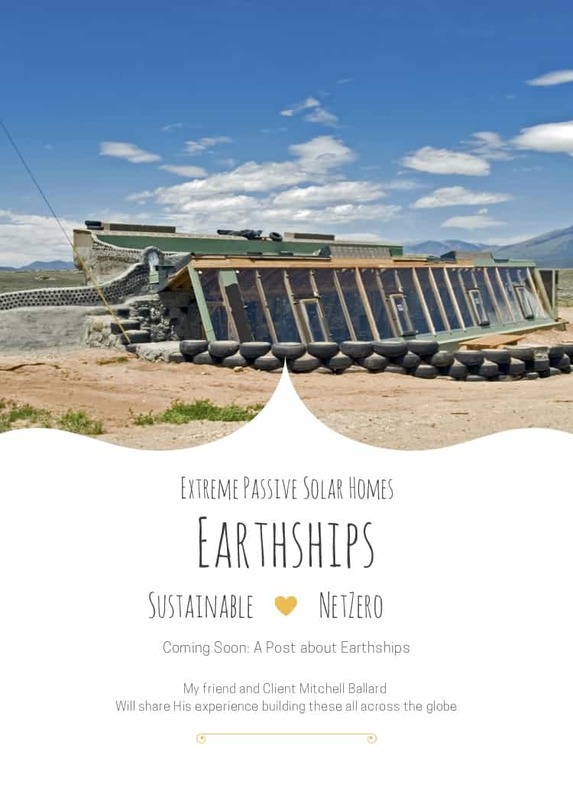 The Earthships are coming, the Earthships are Coming! Soon my buddy (and client) Mitchell Ballard will join me for a post about Earthships. For the past 2 years, Mitchell has worked on Earthship projects across the globe. His insights into this budding phenomenon is extensive. Stay tuned for our post. In the meantime, you can learn more about these living and breathing homes called Earthships from Michael Reynolds. Michael is a degreed architect and can be considered the father of the Earthship movement. He has been working with a sustainability focus for over 40 years. Michael has recorded two TEDx videos. There is also such a thing it’s called Building Integrated Photovoltaics (BIPV). This means that the solar technology is already a part of the building’s material. Whereas you will have solar panels that are actually attached to the actual home, these are not a part of the house materials. Soon we will see additional products such as Tesla Solar Roofs, Certain-teed Solar Shingles, and Solar Windows. These all belong to the BIPV family. The mentioned concepts are new with further developments being made toward their technology. Solar homes that sport Tesla roofs also enjoy the benefit of owning an enduring roof that is likely to last a lifetime. When you are ready to install your solar panels on your home, look for the best qualified solar installer. It’s good to maybe ask around to friends and family for referrals and ask about what their experiences. In addition to finding the perfect installer its good to consider his expertise by seeing whether or not if he is certified, which is highly important. Solar homes with well-installed components will not only last longer but will also perform better. Most installers have an installation certificate from the North American Board of Certified Energy Practitioners. Further, the solar company you decide to work with should be in NABCP-certified. This ensures that you will be receiving top quality work on every installation and you are working with experienced professionals. It’s also best to check their license and insurance. This is a major requirement and it can differ among certain states or other local jurisdictions. Please note, the license should include basic skills for an electrician, a general contractor or for home improvement. Ultimately all installers should have the normal general liability insurance. It’s also good to know their track record and years of experience. With the solar panel industry booming, you will probably find that many contractors will have different backgrounds. Nowadays. regular contractors have altered their general practice areas to install solar panels. Bottom line, do your research and make sure your installer has a good track record with prior customers or vendors, provides clear communication about your installation needs, and more importantly, answers all of your questions. Learning about a technician or a business’s track record can only benefit you and making sure you hire the appropriate professional person to install your desired panels. There’s no shame in doing your research so far as to reading company and contractor reviews. By doing this, you receive a good picture of the type of installer you may hire in the future. This feedback will alert you to any complaints and unprofessional performances in the past. It can save you a lot of headaches while planning your overall installation. Customer reviews are a great source to determine if your technician or selected company matches your tastes and needs. So take the time to read up on what their paying customers have to say. Hiring the biggest and the baddest solar company makes sense, right? Is it worth getting bids? 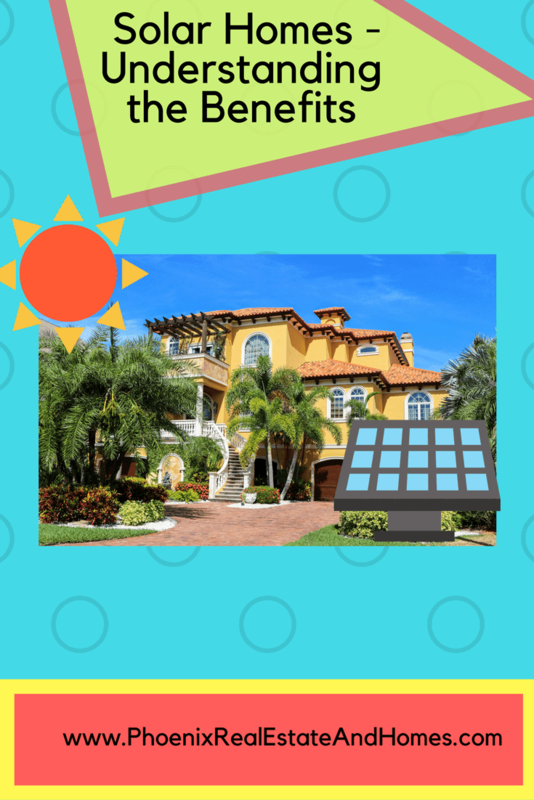 Click To TweetIf you have decided that solar powered homes is for you, then it’s best to begin shopping around for those products that fit your budget. The first thing you want to do is get a lot of quotes because, in the long run, it can save you about 10 percent on costs. Finding the right Solar Panel System for you and your family can take a lot of time. Once deciding on a solar homes installer, consider using the U. S. Department of Energy’s National Renewable Energy Laboratory to help you compare options to avoid overpaying. You can seek out smaller contractors in a network called EnergySage. They’re known to offer the lowest prices and also gives you free quotes. All installers are vetted by the organization. It’s noted that if you get more than three quotes, you will receive huge savings on your solar panel system. People who have invested in this energy system for their solar homes are wise to do a little homework up front and get the right professionals when it’s time to install. Often times the bigger companies that install, do not have lower or reasonable prices. Recently, the U.S. Government has reported that bigger installation companies charge up to $5,000 more versus what smaller companies charge. Further, don’t forget to analyze your bids with local installer quotes as well. This ensures that you don’t overpay for your entire system. Next, you have to consider and compare your equipment options. The larger installers often don’t have many solar options which can ultimately alter your home’s electricity. By having a list of bids, this allows you to analyze all costs and savings up against different equipment setups. 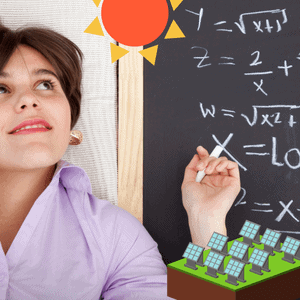 Remember, you can always use the Solar Calculator to help you sum up your estimated expenses and costs of your solar power storage. Once you have taken the leap and decide to install solar homes, you may ask yourself, where is the place on my home to install the equipment and what are the benefits. There are a few areas on your home to consider for your perfect installation of solar homes. If you are In the process of building your first or second home, it’s important to have a south-facing roof. It doesn’t need to be on par, but it does need to at least be 195 degrees solar south and + / – 90°. It’s also important to have a roof pitch of 5 to 12. Keep in mind, summer production flourishes under lower sloped roofs and winter benefits come from higher roofs. Such features as chimneys, vent pipes, dormers can interfere with the installation of your solar panels. You’re South facing roof should be in the shade. It’s normal to have a window of the solar sun that goes from 9 a.m. to 3 p.m annually. This is for the best performance. It also would be in your best interest to consult a Revision Energy Solar Technician who can assess your shade with a tool called SunEye. Because the solar array requires a lot of pipe and wire, you need to make sure newly built solar homes has this running through the entire frame. As mentioned, it’s not a good idea to place your solar homes panels on vent pipes or chimneys. If these are visible, then they need to be planted by the ridge or the far bottom of the roof. Again, move the panels as far as south as you can. Roofs built with a code inside help in carrying the other loads of the panel. In the winter time, snow will fall off a pitched roof easier. Overall the best advice one can take is to do your research. When deciding to own solar powered homes it’s best to look at the overall expenses to make sure that they fit with your family’s budget. Keep in mind, as the solar-powered home system market grows there will be several options to choose from. When seeking an installation technician get as many quotes as you can as multiple coats can save you money in the long run. Solar homes are becoming a trendy decision among homeowners. Check out all technicians backgrounds, reviews and even consult with friends who have solar homes themselves. This product has come a long way that appears to be gaining more and more interest from home buyers. Electricity costs have always been an issue when it comes to buying a home and maintaining your costs. Now with the option of purchasing solar homes whether you buy it outright or finance it is beginning like the smartest way to go in your home buying endeavors. The solar powered homes market continues to explode and soon will have a variety of products to choose from. As technology rapidly advances, it won’t be uncommon to see more homeowners attaching solar panels to their homes to save on their electricity bills. 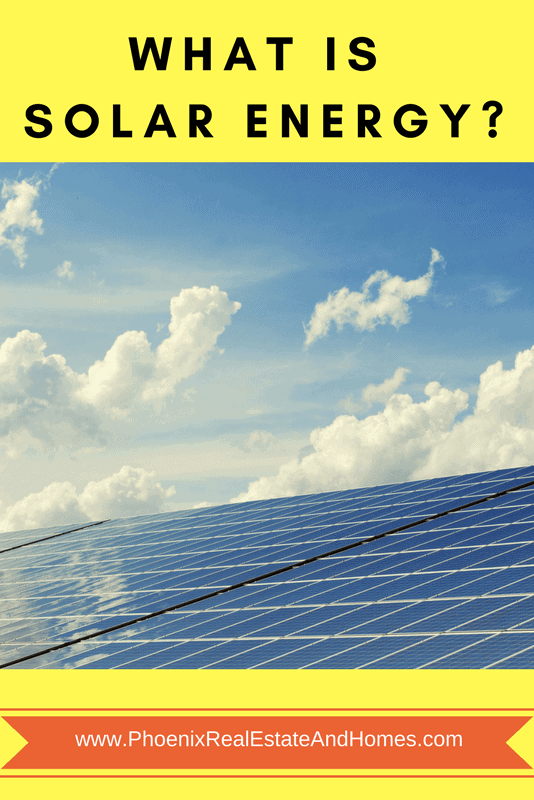 You can take advantage of the many resources to improve your understanding of how solar energy works, benefits your household and mostly who is the best professional to use for outfiting solar homes that perform best. Every state is different when it comes to costs and regulations for solar panels so it may be best to view a map. This helps you find local contractors, what company’s are favorites among customers and what businesses to avoid altogether. Once you have a good idea of where you want to place your solar homes panels and know the exact costs this can cut back on a lot of frustration and headaches. New technology is often intimidating and confusing, so it’s best to stick to rule number one, do your research.